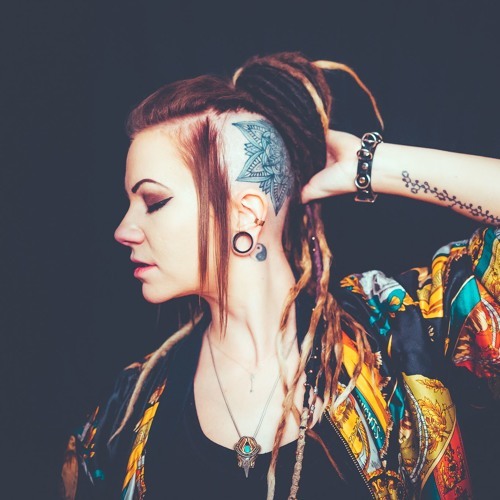 Calgary, AB (The Genesa Project) Booking - thegenesaproject@gmail.com "Kali Yuga, longtime purveyor of auditory excellence, has been slaying dancefloors with her extreme bodacity for many a fortnight. Prepare your orfices for a sonic earfucking the likes of which has ne'er been seen, except for those other totally radsauce shindigs when she done gone laid down dem sweetassed beats. Yea verily: unto thine earholes shalt be poured pure liquid gold, but not like literally as such would likely maketh thee spake thusly: ouch." Kali Yuga's ever changing tastes in deep and heavy bass music has been met with praise throughout western Canada and northwestern USA. Born in Bethlehem Pennsylvania, she was forcibly immigrated to the cold, cold tundra of Canadia which she now calls home. Making a regular tour of western Canada's music festival scene's stages, she brings a heavy combination of style and flail to any dancefloor; her ultimate challenge lying in getting dem booty's to move in the most obscene and obscure means possible. She draws her main inspirations from elastic bands, slinky's, SpaceX, and wacky waving inflatable arm flailing tube men.